But his imaginary managerial twin is only halfway up. > Yes, he’s done with the superstars. But now they have to make a successful team around them. This is a very challenging task at the time of the salary ceilings. McDavid and Draisaitl from the 2018/2019 season take up the $ 21 million financial limit. This is more than a quarter of the current salary ceiling (75 million in the coming year). the next two dozen players?A difficult starting situation, is not it? “From now on Chiarelli will have to consider the value of each dollar. Take a look at Chicago, “Sportsnet analyst John Shannon reminds. Since the massive contracts of Chicago Toews and Kane’s stars have entered into force two years ago, the team did not play a single play-off series. Worse, General Manager Stan Bowman has to deal every summer with what the player sacrifices to get under the wage ceiling. It’s a tough moment to calculate and ponder what option will be the most advantageous. And that is why Blackhawks have often come to Europe for “cheap power” in recent years.An example is the Czech representatives Michal Kempný and David Kämpf. “It will be a challenge,” Chiarelli confesses, and with a little uncertainty in his voice, he unfolds his idea. “This is the reality of the current NHL. If you have two such stars, you have to build a little different way. You can not overpay other top players. You need to bet on younger players like Pittsburgh or Chicago. We’re ready to build a cadre anyway, “he says. And that’s exactly why the Alberta team a few weeks ago got rid of overpriced Jordan Eberle and sent him to the Islanders in exchange for cheaper Ryan Strom. 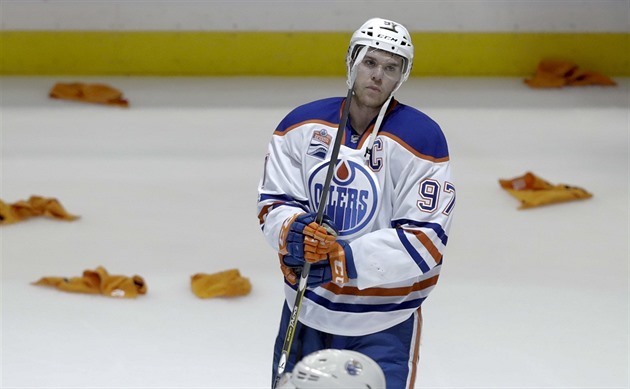 “Such players will have to sacrifice more in Edmonton in the future.Lucic or Russell are the next. Playing from the contract also comes into play, “remembers Shannon. These are moments when the manager has to make a crucial decision. Who do we send away? His general manager, Jim Rutherford, managed to masterfully surround the stars with young talents and cheap veterans who at the end of their career fulfilled their dream and won the Stanley Cup. Can they do it in Edmonton? At least it’s far more enjoyable than in the last ten years. Those were Oilers to others for laughter. Next post: Mazows and returnees. How will the Olympic boxers look like?